For the 12th consecutive year, Stanislaus State has been selected as one of the country’s top 382 colleges by the Princeton Review. Stan State joins San Diego State and Sonoma State as the only three members of the California State University system on the list, which also includes seven University of California campuses. The Princeton Review, which is not affiliated with Princeton University, selects colleges based on their opinion of the institutions’ academics. 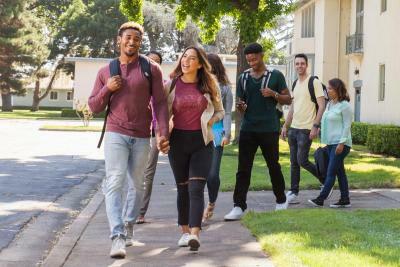 It collects data and seeks student and faculty input from 2,500 schools for the lists and rankings included in its annual guide to colleges, which it first published in 1992. Only about 15 percent of America’s four-year colleges are profiled in the book, which is one of The Princeton Review's most popular guides. “We picked the 382 'best' colleges for our book primarily for their outstanding academics; we highly recommend each one,” said Robert Franek, The Princeton Review's Editor-in-Chief and the book's lead author, in a press release. As part of being included in the Best 382 list, Stan State also is included on the publication’s list of the top 127 schools in the West Region. The Princeton Review’s list of the top 382 schools is presented alphabetically and makes no claim to be a ranking, unlike other publications. For example, just last month Stan State was tabbed by MONEY magazine as the nation’s No. 1 top value-added public university. MONEY also ranked the University No. 82 among the 711 it considered for its top value rankings.